“Send it to the recipient” will email the eGift Card directly to the lucky recipient for them to redeem on fi.tumi.com. “Send it to me” will email the eGift Card directly to your inbox so you can print it. The recipient can redeem their eGift Card on fi.tumi.com. This eGift card can only be redeemed on fi.tumi.com. This website under the URL https://fi.tumi.com/ and the affiliated services (e.g. service, app) (together „Website“) is operated by Frucon² NV & TUMI D2C GmbH Hans-Böckler-Str. 6 59423 Unna („Tumi“ or „we“). These terms and conditions (“T&Cs”) shall apply for all orders made and services offered via our Website. Through our site fi.tumi.com the products are delivered in Finland. 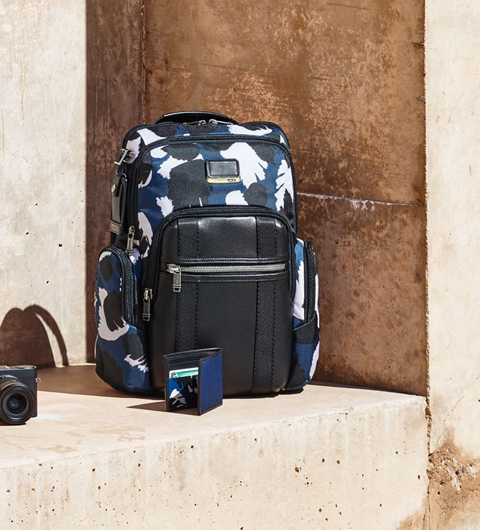 Our customer service can be reached by phone from Monday to Friday from 10:00 to 17:00 p.m. under the phone number: +358 (0) 800 774 229 or by email under service_eu@tumi.com. If you are looking for more than 15 eGift Cards please email (service_eu@tumi.com) or call +358 (0) 800 774 229 for assistance (Monday to Friday, 9:00 AM – 5:00 PM).